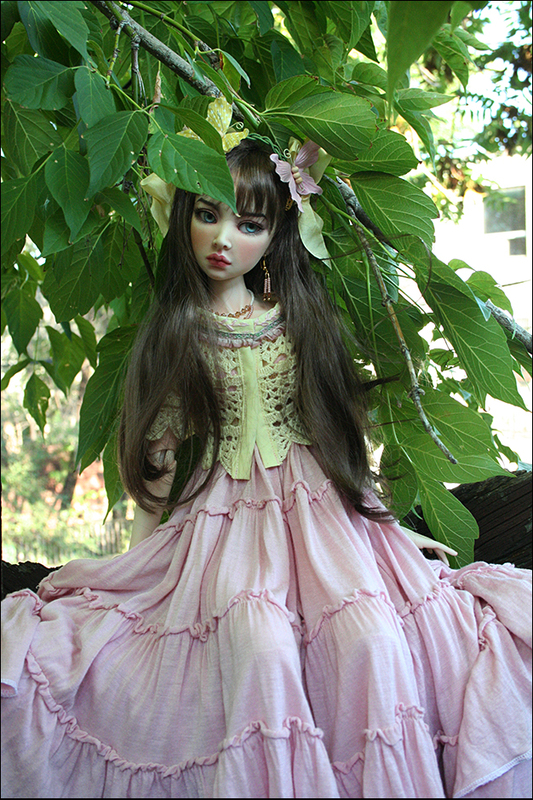 This doll will be for sale Saturday -Sept.3 at 3:00 pm EST. 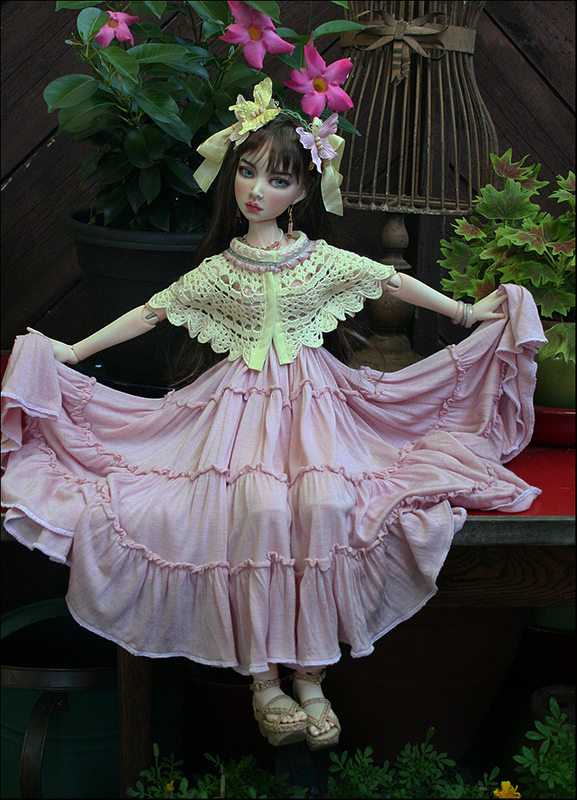 Lissa'a dress is a soft stretch cotton with a very full skirt. The bodice features hand embroidery and laces up in the back with ribbon. Her jacket was made from a doily and is trimed with a decorated ribbon and embroidery. Her necklace and earings are glass beads and Swarovski cryatals. 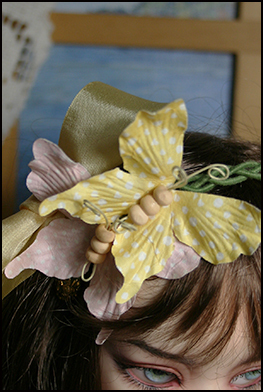 In her hair she wears silk ribbons and a head band with paper butterflies.